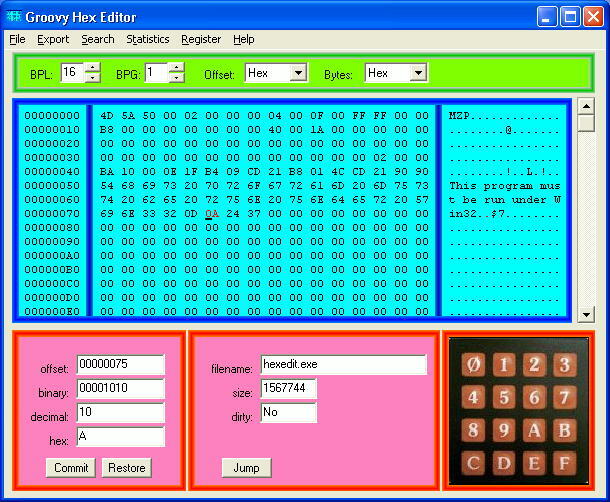 Click here to return to the Groovy Hex Editor main page where you can download the software! This software is compatible with Windows version 95, 98, ME, NT, 2000, XP, and Vista. 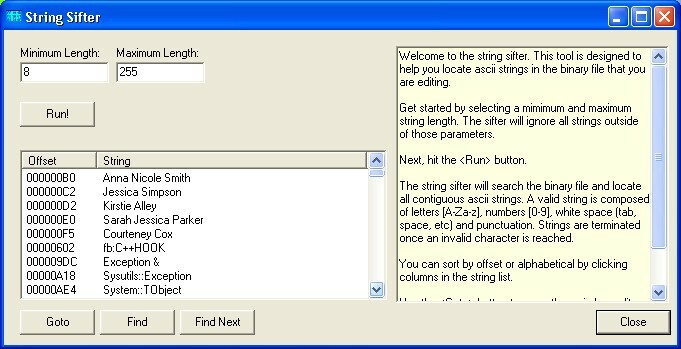 Synopsis: This page includes screen shots that demo the use of Groovy Hex Editor. 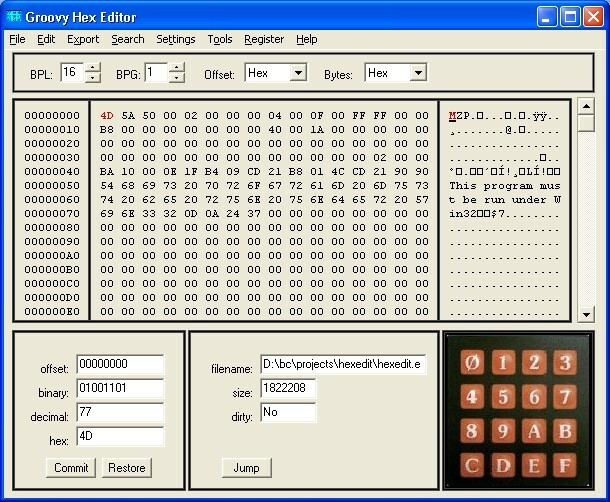 Groovy Hex editor is a shareware hex editor for editing binary files, data files, savegames, etc. Not real exciting (in fact, I'm tempted to call it downright boring...), but not likely to burn out your retinas like the groovy color scheme is. You can see a listing of offsets, old value, and new values. This can actually be very useful, in case you forget which bytes you've edited. The change highlighting feature shows you that which part of file has been edited. 000000D0 6E 00 4B 69 72 73 74 69 65 20 41 6C 6C 65 79 00 n.Kirstie Alley.